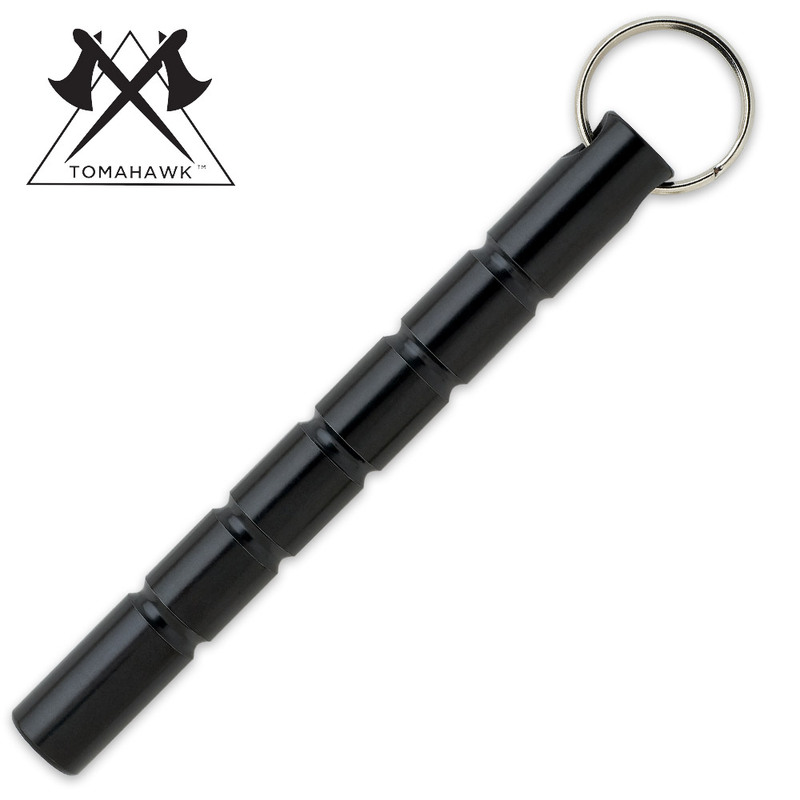 Black Aluminum Flat Kubaton Keyring | BUDK.com - Knives & Swords At The Lowest Prices! Bought a bundle of these at Christmas for friends and all of our local Police Officers. I can't think of a better item that you can carry in you pocket for personal security in all those places that you're not allowed to carry your gun. Every one needs one! Product is as defined. Heavier than I expected for aluminum but that's a good thing. It's like a keyring on steroids! Love it!! This kubaton is a lot lighter than I thought it would be. I'd imagine this thing would be devastating. I grabbed my freestanding punching bag to test it out on and my first swing I put a hole all the way to the middle. Also, if you don't have a lot of keys on your keychain (like me) you can use the actual keychain to put your thumb through to keep it secure. Excellent buy. Solid and sturdy kubaton. Got it for my wife. She only wishes that it was a little shorter to fit in her pocket a little better. Overall though very good. Good product, A little lighter then I thought it would be and smaller, Happy but a little unhappy, Thanks true swords. excellent small atack or defend weapon. I didn't realize how heavy it would be. This thing is actually pretty cool. Easy to keep in a pocket or wherever, and works well as an equalizer/point attack weapon. You hold it in your hand so that the end is sticking out just below your pinky, and it works solidly to deliver hammerstrikes and point attacks that trust me hurt alot. Hey, I had to try it out. This is good little tool if you just want a little bit of an edge to your punch. I bought this for my wife and she really likes it. She feels more secure and it is solidly made.